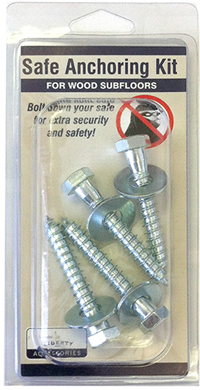 Secure safe to the floor with a safe bolt down kit. Utilizes the pre-drilled holes in the floor of your Liberty Safe. 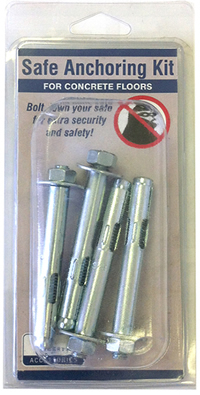 Liberty Safe anchor kit is available for concrete and wood floors.